WASHINGTON : The Palo Alto City, California has decided to expand the ban on plastic bags, earlier ordinance failing to check its usage. 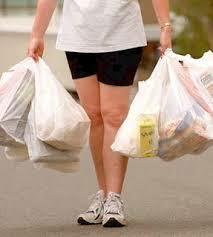 The Californian city had earlier in 2008 through an ordinance banned single-use plastic bags by grocery stores. It is noticed that plastic waste still accounts for almost 60% of the litter. The city administration has resolved to expand the ban this year to include retailers, restaurants, delis, food trucks and more. The 10-cent charge for paper bags would continue but would increase 25 cents one year after the ban takes effect — July 1 for retailers and Nov. 1 for restaurants. Restaurants would still be permitted to use thin barrier bags plastic bags for liquid take-out items such as soup. The California Restaurant Association has voiced their protest against the city’s decision. “We’re going to sue them over the restaurant part of it,” Stephen Joseph of Save the Plastic Bag Coalition said. “Only the state can regulate carry-out bags under the California Retail Food Code. There is precedent on this.” The California State Supreme Court has already ruled the City of Los Angeles cannot regulate carry-out bags.Save the Plastic Bag Coalition has also got a settlement in a similar suit in Carpinteria, Calif., last summer, resulting in a softening of the ordinance to permit plastic bags in restaurants. A similar case in San Francisco is still under appeal.